This site is located in Cameroon. Granite were crushed by jaw crusher primarily, and then materials were sent to European type impact crusher and hydraulic cone crusher for secondary crushing. This stone crushing line was used to process granite and provide suitable products for road construction. 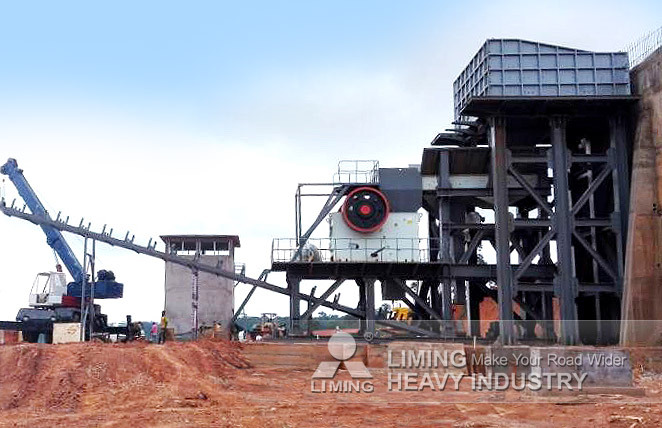 Equipment: Vibrating Feeder GZD1300X4900, Jaw Crusher PE900x1200, Hydraulic cone crusher HST250/S2, European type Impact Crusher PFW1318Ⅲ, Vibrating Screen 2YZS2160, 2YZS2460, Belt Conveyors, and Electric Control Panel, Pulse dust collector, Steel Structure.